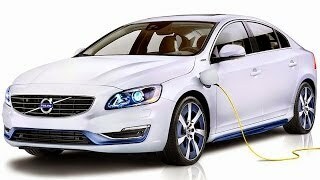 Volvo S60L PPHEV Concept 2014 is the member of the plug in hybrid family. It is a hybrid car as well as the electric car with high performance. The S60L PPHEV (Petrol Plug-in Hybrid Electric Vehicle) Concept Car features the same electrification technology as the Volvo V60 Plug-in Hybrid. 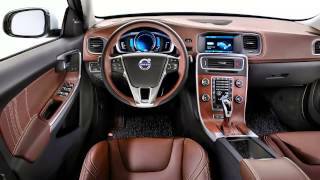 Let us have a close look at the reviews of the Volvo S60L PPHEV Concept 2014 and get to know more about the features it contains. 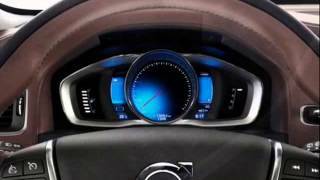 The interior of Volvo S60L PPHEV Concept 2014 is simply awesome. It is painted in a matt white crystal pearl color which looks amazing. In addition there is a contrasting black or blue detail on the lower body and the seven-spoke wheels. The seats, steering wheel, instrument panel and the door panels of the model are stitched with contrasting hazel-brown leather. There is a Chrome detailing and a blond colour theme above the belt line enhances the luxurious feeling. In all, the S60L offers the sparkling interior with awesome driving experience. The exterior of Volvo S60L PPHEV Concept 2014 is simple and classic. It includes a new hood and front fenders that give it a refreshed look, plus a widened grille with a larger ironmark that is flanked by new headlights and underscored by a wider lower front intake. At the rear end it adds in new taillights with LED technology and new integrated exhaust pipes for a sleeker look. In addition there is power heated outside mirrors, puddle lights, rain sensor windshield wipers and the dual polished exhaust pipes. The entire feature makes S60L, a perfect vehicle to drive. 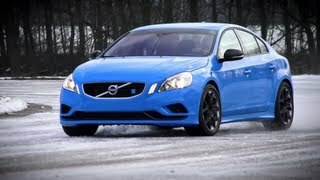 The Volvo S60L PPHEV Concept 2014 is powered by a 4-cylinder petrol turbo - Drive-E engine which offers 238 hp of power and 350 Nm of torque. Also in the powerplant is the 68 hp electric motor powered by a 11.2 kWh lithium-ion battery pack. The other key component is a crankshaft-driven ISG (Integrated Starter Generator) between the engine and the 8-speed automatic gearbox. It has CO2 emissions at 50 g/km.